Alder Vineyard is a small vineyard, run by four generations of the Westlake family. It lies on a south facing, well drained part of Alder Estate (right next to Lobhill Farmhouse Bed and Breakfast and Self Catering Cottage). 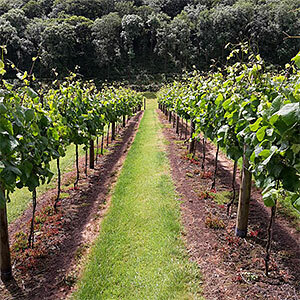 Set at the foot of picturesque Dartmoor, in the rolling Devon hills, Alder Vineyard produces quality red and white grapes. Rees Kenyon Design is a small but perfectly formed graphic design consultancy in West Devon. Based in Lewdown, Rees specialises in web design and general graphic design. He has been in the industry for over 25 years and designed, produced and performs SEO and SEM tasks on this website for Lobhill Farmhouse. A keen eye for detail, excellent customer service, marketing know-how and a yearning to create the best possible product makes Rees a great partner in your business. He genuinely looks after you and issues never become a problem. 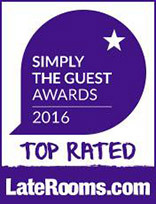 Lobhill Farmhouse Bed & Breakfast use Hodgson Insurance Services. Insurance brokers who offer competitive insurance cover for owners of guest houses and bed & breakfast establishments. Exceptional value for money. Above and beyond expectation. Jane Colwill spoilt us. So warm and welcoming and helpful. She even drove us to and from the wedding reception which didn't finish until midnight. The kindness she showed us was wonderful. This was recommended to me by friends, a great decision.